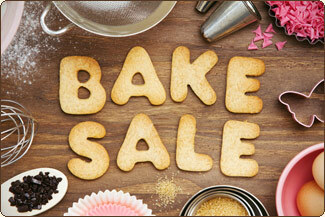 A batch of baked goods should be delivered to the library front desk on Monday afternoon or Thursday morning. Place items in a small baggie; bring a total of 15-20 bags. 2-3 items per bag is suggested, assuming the items are "average" cookie size. Use your best judgment as items can vary in size and type. We ask for a $1 donation per bag. In case patrons want to check for potential food allergies, please place one large index card in the cookie basket with the list of ingredients used. Treats are delivered twice a week, Monday and Thursday, sign up for one or both. Feel free to be creative with your offerings -- cookies, bars, slices of tea bread, the infamous rice crispy treats, whatever you think would be appealing! Please remove any remaining cookies from the prior batch and leave with staff. This will also that the quality and freshness of the product will remain constant throughout the week.